Faraday Desk | Great Little Trading Co. 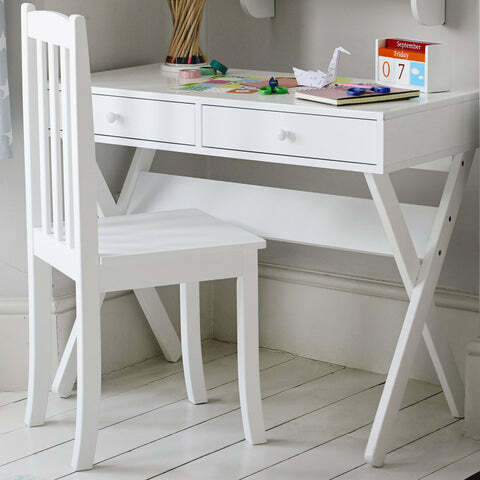 Here's a GLTC classic: this simple desk has a Bright White finish and two smooth, sliding drawers with handles. 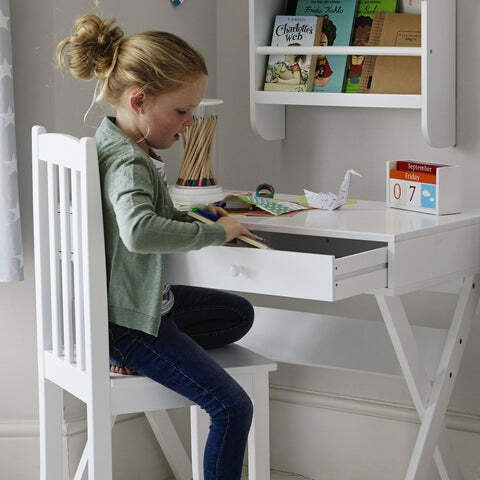 It's a great looking desk and ideal for all ages. 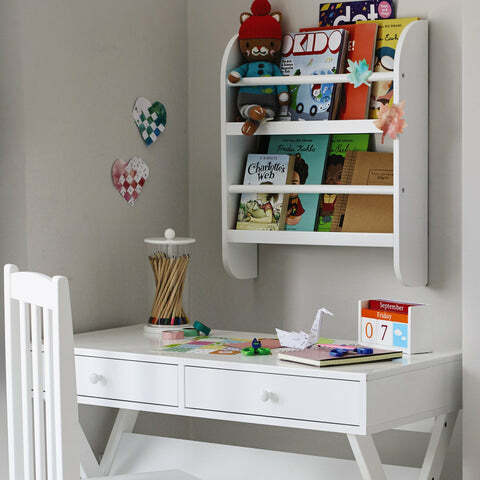 Like all our furniture this desk is really robust and tested for safe use by children. It should be teamed up with a Nelson Chair in White. Make sure study spaces have lots of storage space; our wide range of Wall Shelves, Bookcases and Desk Accessories should do the trick.